As founder of Dallas Jet International, Mr. Harris has established an esteemed 23-year aviation career. He holds of Bachelor of Science Degree in Professional Aviation and Airway Science and and a Masters Degree in INdustrial Organization Psychology from Louisiana Tech University. Mr. Harris entered the aviation industry in 1992 as a corporate piolot for a Fortune 500 corporation and soon started a successful aircraft leasing and renting company. In 1993, Mr. Harris began his aircraft sales career and became one of the most highly respected aircraft brokers in the world. 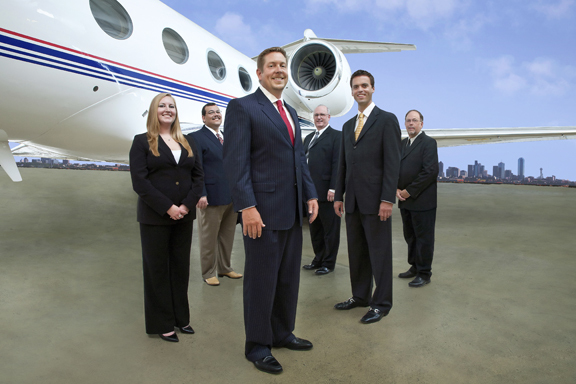 In 2002, Dallas Jet International began offering aircraft sales, consulting, and brokerage services. 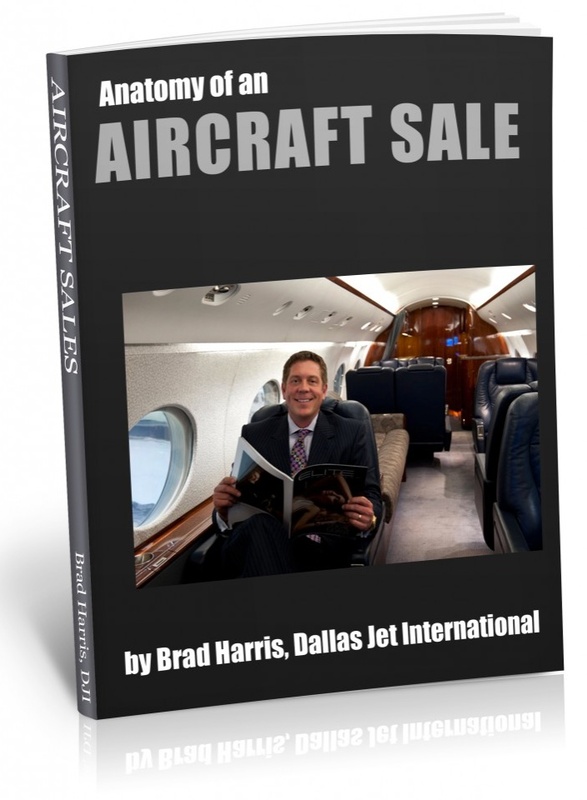 Mr. Harris is a current airline transport pilot who is type-­rated in ten (10) different jet aircraft including the Gulfstream 550, 450, 350, GV, GIV, GIII, GII, Hawker, Falcon, Citation, Beechjet, Lockheed JetStar II, Diamond Jet and King Air 300 / 350. Mr. Harris parlays extensive hands-­on knowledge and experience into clear results for his clientele. His firm has set up flight departments, consisting of aircraft crewing, aircraft management, aircraft maintenance and aircraft operating budgets, and airplane sales, for several clients. Mr. Harris also possesses significant entrepreneurial experience in real estate and commercial insurance. This knowledge, combined with unparalleled experience in all facets of corporate aviation, is the foundation of success for Dallas Jet International. He often speaks to groups of aviation professionals, publishes monthly blog articles and sits on the Advisory Board for GE Capital Corporate Aircraft and Finance, and CAE Simulflite. He currently sits on the board of Directors at NARA (National Aircraft Resale Association) as President. Mr. Dinning acquired his formal education at the United States Air Force Academy in Colorado Springs, in the areas of Operations Research and Management Science and also holds a degree in Aeronautical Science from Embry-Riddle Aeronautical University. Mr. Dinning brings 17 years of aviation experience from a variety of aviation disciplines, including FAR 91, FAR 121, FAR 135, defense and shared ownership sectors. Mr. Dinning holds a current Airline Transport Pilot (ATP) certificate, and is type-rated in the Gulfstream V/G550, G500, G400, G350, G200, Bombardier CRJ-200, and Citation 510 Mustang, and also holds a current flight instructor certificate. He has logged over 5500 flight hours, with 3500 of those hours in corporate turbine aircraft. Mr. Dinning brings to Dallas Jet International a rare and highly valuable skill set of operational and business acumen, and has become a leader in the professional marketing and procurement of corporate turbine aircraft globally. He also specializes in aircraft mission analysis, aircraft valuation, cash flow and operating cost analysis for private aircraft owners. His reputation for meticulous management of aircraft transactions makes him one of the most respected aircraft brokers in the industry. Mr. Dinning has been consulted in publications such as Business and Commercial Aviation on various issues related to turbine aircraft transactions, and writes a monthly blog about the buying and selling of corporate aircraft. After receiving her Marketing degree from Tarleton State University in 2005, Miss Williamson embarked on a career in corporate aviation. Miss Williamson has worked diligently and successfully as an Aviation Scheduler / Dispatcher. She has extensive knowledge in domestic and International corporate travel with a variety of aircraft, including Gulfstream V, IV and III, Falcon 50, Jetstar II, Citation II and King Air 350. In order to remain current with changing FAA regulations and aviation trends, Miss Williamson annually attends the National BUsiness Aviation Association’s conference for Schedulers and Dispatchers. She is also a member of the Dallas / Fort Worth regional Schedulers and Dispatchers group, TCAS (Texas Corporate Aviation Schedulers and Dispatchers Group.) Miss Williamson is a team player whose dedication and motivation make her a valued asset at Dallas Jet International. Gil Rodriguez is one of the most talented experts in the world of aircraft maintenance and technical consulting. His primary role at Dallas Jet International is to oversee all phases of the pre-­purchase inspections and technical evaluations. Mr. Rodriguez is certainly DJI’s most valuable asset in mitigating the risk that comes with an aircraft pre-purchase inspection. Throughout a career spanning 19 years in the arena of corporate aviation maintenance and technical operations. Mr. Rodriguez has been noted for being highly knowledgeable and unshakable in demanding the finest maintenance and technical oversight. His considerable experience includes hands-­on maintenance and supervision of a multitude of aircraft models, including Cessna Citation, Gulfstream III, Gulfstream IV, Gulfstream V, Learjet 20 / 30 / 50 / 60, Hawker 700 / 800, Falcon 20, Falcon 50, JetStar II, and King Air 90 / 100 / 200 / 350 aircraft. As a member of the National Business Aviation Association (NBAA,) he values continuing education and has diligently maintained his schooling with some of the finest maintenance training providers in the world. earned five Type Ratings in that time. Much of his experience comes from flying professionally for a Fortune 500 company. He was a Ground School and Simulator Instructor for more than nine years at CAE Simuflite in the Falcon 50 / 900. In his 43 years of flying, Dixon has logged more than 10,000 Flight Hours with both Domestic and International experience, including flights to Western Europe, South America and the Middle East. You are currently browsing the Aircraft Sales Insights blog archives for February, 2012.